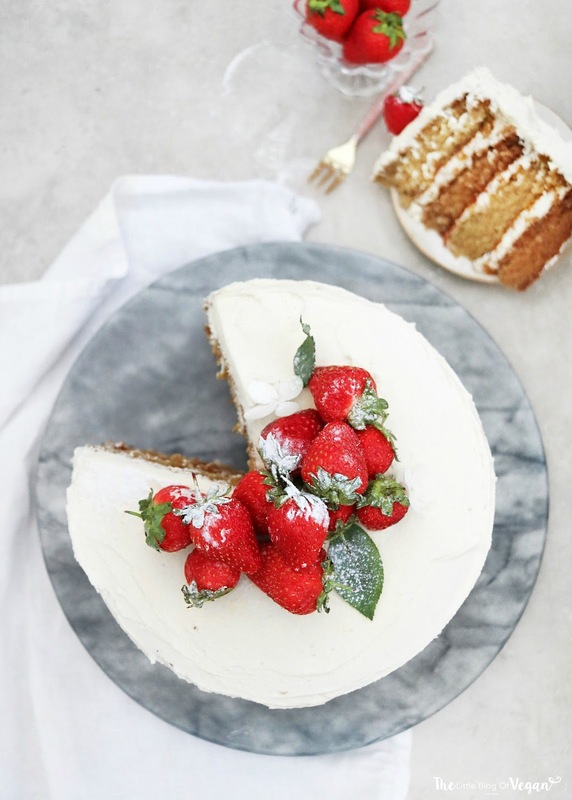 Say hello to the best vegan vanilla victoria sponge cake! I couldn't be happier with this recipe. It's taken me a long time to perfect this cake. Experimenting with ingredients, batters, baking time etc and I have nailed it! 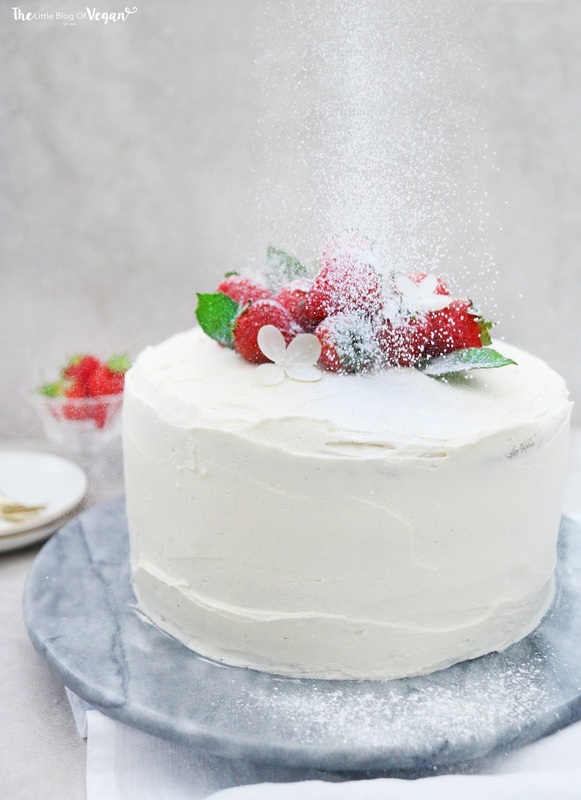 This cake is moist yet fluffy and delicious with layers of vanilla buttercream and strawberry jam with a coating of light buttercream frosting. 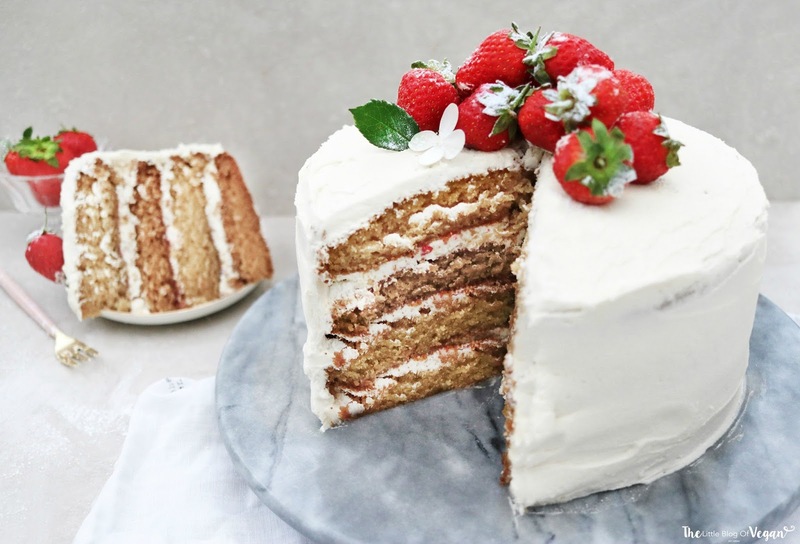 4 layers of crumbly and moist vanilla cake with buttercream and jam...YES PLEASE! The perfect treat for an afternoon tea or special occasion! Vegan vanilla cakes are always tricky to perfect but I wanted to share my recipe with you as its the best I have ever made so far (and eaten).Super delicious and moorish. It's 100% vegan and gluten-free, so everyone can enjoy. Step 1- Preheat your oven to 170 degrees c and line two 8inch tins with grease proof paper. Step 3- Once the 'buttermilk' is ready, add in the oil, sugar and vanilla extract. 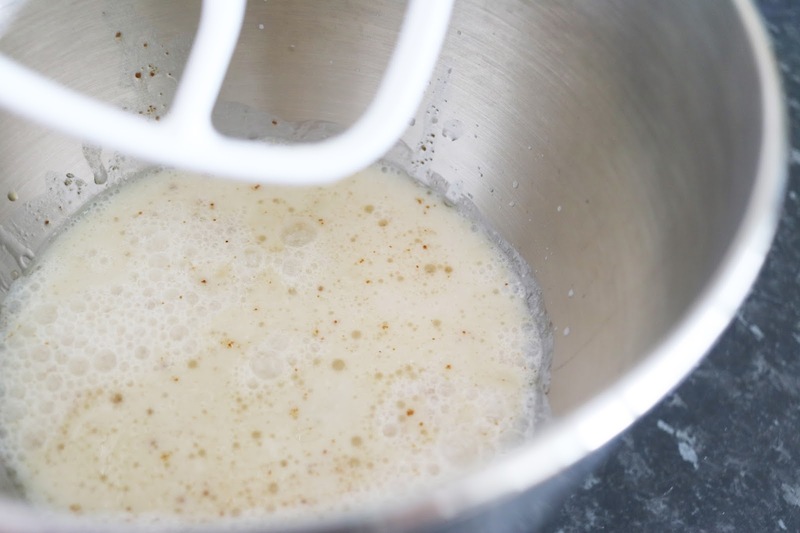 Whisk on high for around 2-3 minutes until fully combined. Step 4- In a separate bowl, sift the flour, bicarbonate of soda, baking powder, corn starch and salt. 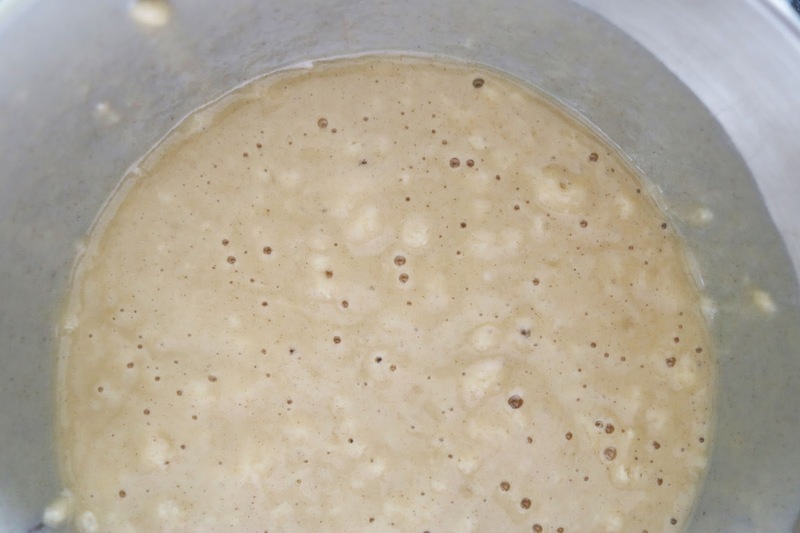 don't over mix but mix well until the flour disappears. Step 5- Slowly add the dry mixture into the wet and fold in until fully combined. 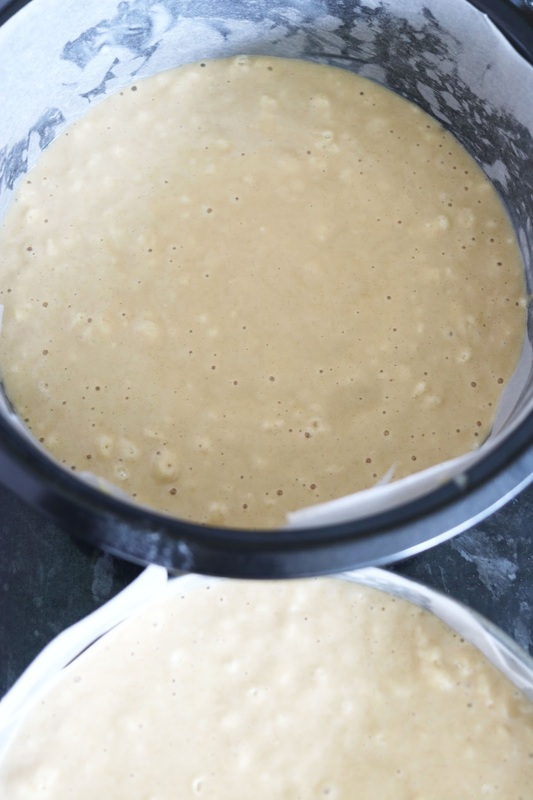 Pop the cake tins into the preheated oven and bake for 20-22 minutes. Step 9- In a bowl or stand mixer, cream the butter on high then add in the vanilla and icing sugar slowly to prevent sugar clouds. Step 10- Level off your cakes (if needed) with a sharp knife. Step 11- Layer the cakes with equal amounts of buttercream and jam. 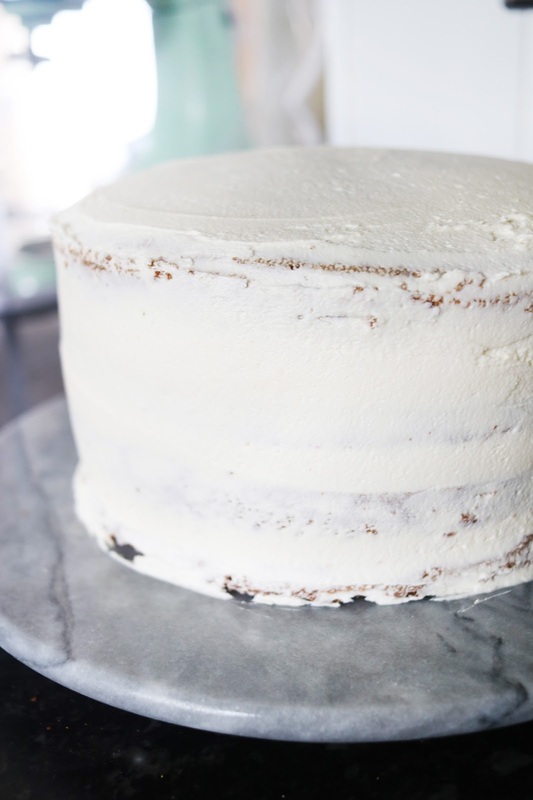 Make sure on the top layer to turn the cake upside down for a flat top. Step 12- Crumb coat the whole cake and pop into the fridge for an hour to chill. Step 13- Once the frosting is firm, give a final layer of buttercream and decorate. 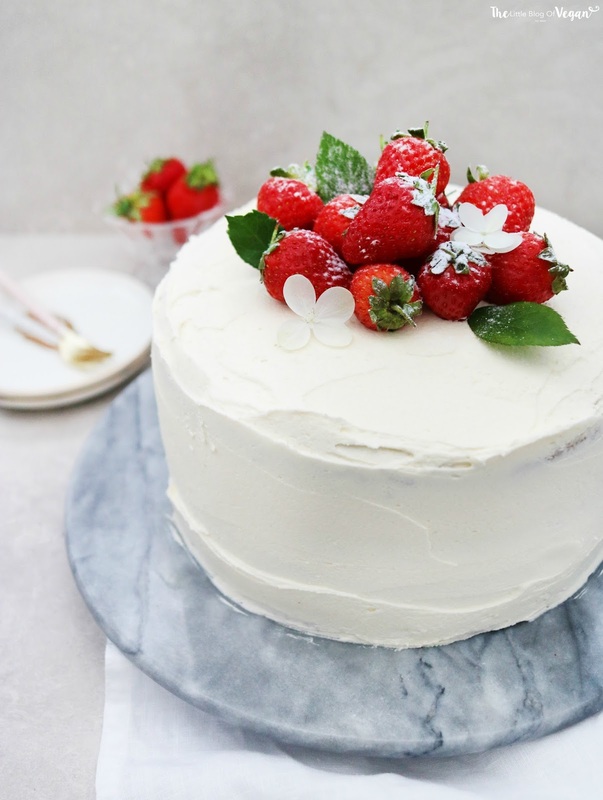 I decorated my cake with fresh, juicy strawberries & a sprinkling of icing sugar. Sorry am I missing something here... is self-raising flour gluten free? I am only asking, because if it is then I am over the moon! I always thought gluten free baking would be such a nightmare, but if self-raising flour is gluten free then things are looking up! Hello, I was just wondering if this recipe would work in 9inch pans? I made this, thinking that it would give me 2 layers that I would the need to slice in half to make 4 layers. But no, the layers were pretty thin. So I made a second batch to get a 4 layer cake. The cake itself looks amazing. I used homemade jam and topped the cake with pomegranate seeds. Also, I used 9 inch springforms instead of 8inch. Each layer was about one inch thick and baked flat/evenly.